In its philosophical depth, Being 2.0 reveals surprising and insightful ways for coping with modern malaise. Nothing less than the cultural evolution of Western civilization is questioned in Being 2.0 by Razique Mahroua. Mahroua’s experiences as a child of Algerian immigrants to France and as a millennial inform this manifesto on being alive in modern times. Themes include the urban intersection of race and class, creations of intergenerational communities, and the inequities of capitalist systems. Mahroua grew up in a large city. His experiences were both bicultural and intracultural. The text’s insights are informed by his background. Through both specific life examples and sweeping analyses of cultures, disconnection is revealed as an inherent part of modern life. Modern isolation is masked by busyness, the pursuit of work, and consumerism, the text argues. Resultant issues of identity, culture, and belonging don’t have solutions, per se; the text instead argues that, to escape from oppressive and isolating capitalistic tendencies, one must find ways to create genuine community. Methods are broad and diverse, including everything from tattoos that express one’s values to “the language of the heart” that authentically creates communication between people. The text develops with Mahroua’s biography as a guide, though examples from it are quick and not elaborate. Points are made generally rather than concretely. Questions arise as a result—about the conflicting values between French and Algerian cultures, for instance—but are not answered in the text. The subject matter is dense, and a lack of clear narration makes its points hard to grasp. Diction is precise, though terms like “interdiction” and “polysemy” make for a slow read. Footnotes prove especially helpful for imparting understanding about the book’s wide-ranging interests. While broad, fresh concepts like “transhumanism” are explained, it becomes difficult to retain all of the new concepts without referring back to earlier portions of the work. Ideas are framed with a blend of hopefulness and frustration that conveys the book’s stakes while also showing a way forward. Ideas about rites of passage, relational language, and aspiring to a new level of evolution are particularly well clarified; such “solutions” to the book’s abstract problems help to explore the pitfalls of postmodern life introduced in the early chapters. 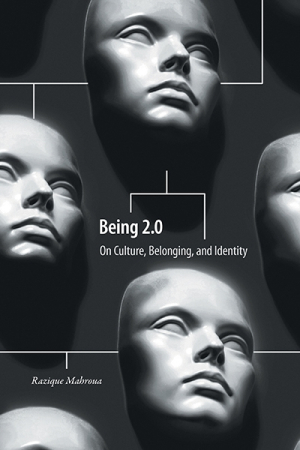 Being 2.0 by Razique Mahroua is an autobiographical philosophical treatise that advocates for a more humane, connected existence in a technological, isolated capitalistic world. While it is a dense read, in its philosophical depth it reveals surprising and insightful ways for coping with modern malaise.